As we settle into the new year, adults often reflect on their priorities and goals for the upcoming year. This is also a great time of year to talk with kids about their goals and ambitions for the year ahead. We all want our kids to dream big, so why not spend a little time talking about their dreams? 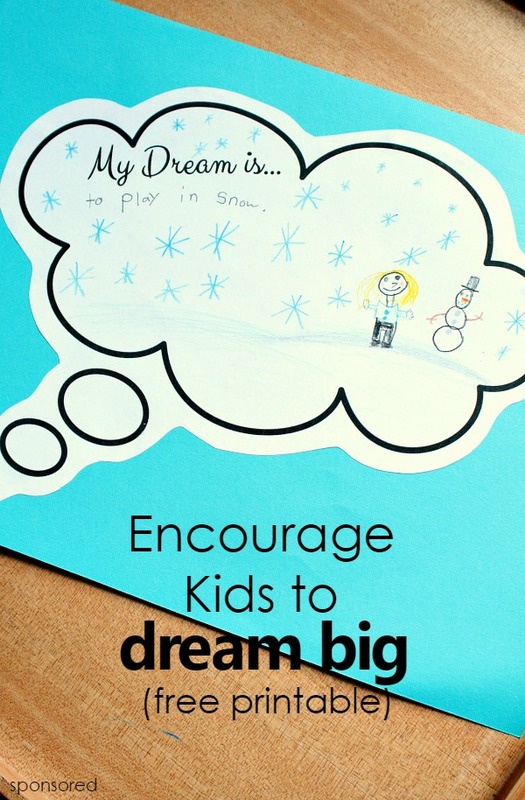 Then encourage kids to dream big, and record those dreams with our free printable. Post those dreams somewhere as a reminder! If your kids have trouble thinking of their big dreams, take some time to review the values and goals of some of their favorite characters or role models. We partnered with Disney to share this idea, and before we did this activity we discussed some of the girls’ favorite Disney princesses and their values. Over the years the Disney princesses have been a regular part of our conversations and experiences, so it was easy for them to make these connections. They thought back to the many karaoke sessions we’ve had singing along to our favorite Disney songs and a favorite princess necklace that reminded my oldest daughter to be brave as she entered her first days of preschool. We talked about times we’ve visited the princesses and why the girls like them so much. My oldest instantly recalled her very first trip to Disney World where one of the princesses blew her a kiss and waved at her during the parade. I can’t really describe what a moment that was for both of us, but somehow that simple act of kindness was magical. The excitement she felt has stuck with both of us over the years. My youngest recalled a special character dining event we attended where she met all the characters from Cinderella. She said it was her favorite memory because Cinderella was so nice and made her feel special. This chat really helped jump start our discussion about character, values and our goals for the upcoming year. It was also very interesting to see which princesses each of my daughters were naturally drawn to. My oldest daughter has always favored Jasmine, who tries new things. She has always admired Jasmine’s adventurous side, even if my daughter can be a bit timid at times herself. My daughter’s three goals for this year were also all related to trying new things. She wants to swim with dolphins, see snow, and learn to ride her bike with no hands. I think Jasmine would be proud! My youngest is determined…in everything she does! 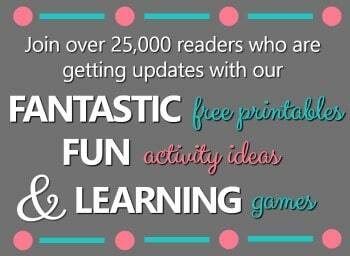 We’re working to make that an asset! It didn’t surprise me that Cinderella is her favorite princess. Cinderella never gives up, and neither does my daughter. She’s determined to learn to read even better this year. She also wants to learn to bake cakes all by herself and share them with friends. After chatting about your child’s goals use our free printable, and let kids draw and/or write about their goals for the year. 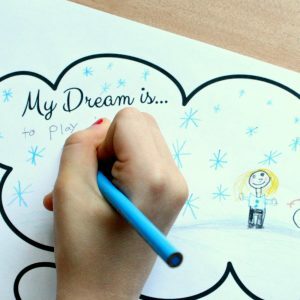 If your child isn’t able to write yet, go ahead and record the dream next to your child’s drawing. But don’t stop there! You’ll want to keep these so you can help your child achieve their goals this year (or in the future if they are long-term goals). 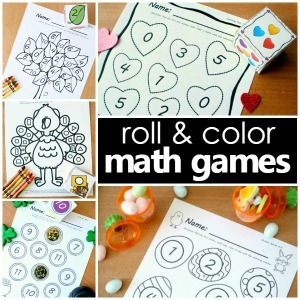 We cut out our printables and mounted them on colorful paper. Then the girls hung them in their rooms and made a bit of a vision board. You could also staple them into a small book for your child to read. Then go back and add real pictures once your child’s dream comes true! Since doing this activity and talking about the values each princess represents, it has added another layer of fun to our movie watching, too. As we snuggle to watch a Disney movie the girls are naturally starting conversations and asking about what values the featured character represents. I think this is a fantastic way to build upon the bond they have with the princesses already and use that information to apply it to life skills as they get a bit older. Which Disney princess is your child most like in values? Can you pick just one, or does she match up with many?! Download your free “My Dream is” recording page here.